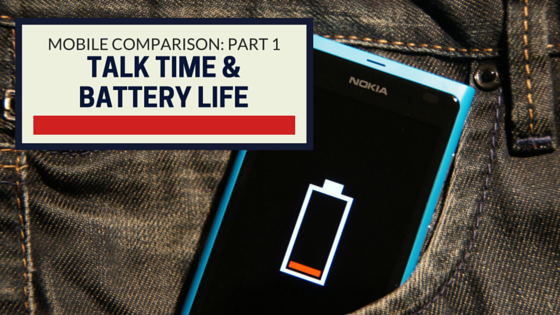 There are a number of factors that directly impact the expected battery life of any phone. There are four major types of phone batteries with Lithium Ion technology being the most popular among cell phone manufacturers today. The best phone battery will not only take advantage of this technology, but will also have a high mAh rating for extended life between recharges. Here’s the rundown of how to determine which batteries will be the best for you and your lifestyle. Lithium Ion batteries have become the number one choice for most consumer electronics for a number of reasons. They are extremely lightweight and compact, packing more energy into their form factor than any other battery type. In addition, lithium ion batteries have proven to be more stable than other battery technologies, features a very low self-discharge rate when not in use and being fairly resistant to forming battery memory which reduces service life. Lithium ion technology is easily rechargeable and takes far less time to recharge than most other battery types. During normal operation, a lithium ion battery allows electrons to flow from the negative to positive electrodes through the phone’s circuitry. However, during the two phase charging phase those electrons are supercharged and allowed to flow directly through a diaphragm inside the battery and collect back on the negative side. The first charging phase uses constant current applied to the battery with a slowly increasing voltage until the cells of the battery are all close to full. Then the second phase uses a variable current and a balancing circuit to bring all cells of the battery to an equal level. The best phone battery chargers can accomplish all of this in less than an hour of actual charge time, so you can get back on the road. Phone batteries are typically rated in milli-amp hours (mAh). The mAh rating is a calculation that tells you how much power the battery can hold and the typical discharge rate of the battery over time under normal usage conditions. Of course, the more power the battery holds, the larger the battery will generally be. In addition, heavy usage and some functions of the phone may cause the battery to discharge faster than others. To determine the discharge rate of the battery, simply divide the total mAh rating of the battery in its fully charged state by the amount of power drawn from the phone to determine how long you can expect a single charge to last. For example, a 3000 mAh battery is very common today. If your phone is drawing an average of 150 milliamps, the battery will last approximately 20 hours. Batteries come in a wide range of mAh ratings, even up to 4000 mAh. In most cases these batteries are advertised to last between 8-12 hours under regular usage. Cell phone manufacturers have also made a habit of advertising the amount of actual live screen time you can expect without accounting for the time when your phone is passively draining power when not in use. In this case 7-9 hours of screen on time is common. There are several ways you can improve your overall battery performance by managing your app usage and taking advantage of the built in power saving technology on your phone. Adjusting the brightness of the screen, minimizing apps that run continuously in the background and shutting off unnecessary signals will all improve your battery life. Your phone probably came with an automatically adjusting brightness setting for your screen. This allows your phone to sense the ambient light of the room and adjust the screen lighter or darker to be less straining on your eyes. While this feature is helpful, it can cause your battery life to shorten because it is constantly adjusting itself and is still typically brighter than you really need. Turn the auto feature off and adjust your screen brightness down to a level that is comfortable for you, but as low as possible. This simple step is shown to drastically affect battery life immediately. Even when your phone is not in your hand it is constantly searching your surroundings for available Wi-Fi and Bluetooth signals to latch on to. If you are not actually trying to connect to any of those sources, take the time to shut off your phones Wi-Fi and Bluetooth capabilities. This will keep your phone from constantly trying to connect and disconnect from every coffee shop and automotive Bluetooth you pass by. App management is probably the single most important factor in preserving your battery. Apps that run continuously in the background will place a drain on your phone, and you may not even realize what they are doing. Check your app settings to see which apps are running constantly and determine whether you can stop them when you’re not actually using the phone. In addition, music and video streaming services will be a large burden. Fortunately there are several battery management apps available for free that will help you track battery usage and help you identify apps that are negatively impacting your battery service. Who’s Got the Best Battery? Currently there are several battery options that stand out among the crowd for their long battery life even with the full functionality of a smartphone, but they may not be the most popular devices that you would expect. The LG G5 boasts a 2800 mAh battery with a potential battery life of 12-15 hours of talk time. It is also expected that the battery could last several days between charges under light usage. The Samsung Galaxy S7 Edge is a top choice, although sadly won’t be available until later in March, 2016. It has a 3600 mAh battery, which is slightly larger than some of these other contenders. This coupled with the fact that Samsung has been careful with managing its power usage, making very effective use of its battery life & keeping a tight hold on how much power the phone passively draws. According to consumers, this is going to have the best phone battery for the money while also offering a mobile powerhouse. The only downside here being that its battery isn’t removable, meaning that if you do have any issues you’re forced into servicing your device. The Huawei Nexus 6P is also a notable entry in this field. The 3450 mAh battery is impressive and the phone is smaller, appearing more in line with the other major phone manufacturers in terms of features, even including an upgraded built in camera. If you are looking for the best phone battery that will give you plenty of screen time with very fast recharge times, take some time to look at the mAh rating of the battery. Do some research online and determine what other people are experiencing with their phones to see how that battery is holding up against the passive apps on the phone, the most common social media and popular games, and how well it handles talk time. Lastly, check the manufacturers advertised battery life times and see if they are in line with other phone batteries on the market currently.